If I don’t file an answer, what will happen? If the defendant does not file an answer, he or she is deemed to have admitted the claims in the foreclosure complaint. The Plaintiff’s attorney can seek entry of default against the defendant and thereafter seek a final judgment of foreclosure. Should I answer even though my 35 days are up? An experienced foreclosure attorney can evaluate a defendant’s circumstances and help him determine whether it is in his best interest to file an answer after the 35 days are up. If a defendant wishes to file an answer, written consent may be obtained from the Plaintiff’s attorney by way of a Stipulation Extending Time to Answer, or a Motion Extending Time to Answer may be filed with the Office of Foreclosure (if the final judgment package has not been filed) or with the General Equity judge (if the final judgment package has already been filed). If I don’t get an extension of time to answer and am past the 35 days can I still file an answer? Would it have any bearing on the case? I’ve worked out a deal with the lender, do I still have to file an answer? Working out a deal with the lender will not automatically stop the foreclosure proceeding. An attorney can evaluate a defendant’s circumstances and help him determine whether it is in his best interest to file an answer. If it is not my property but I am named in the case do I still have to answer? Numerous parties can be named in a foreclosure case who are not the borrower but who have a legal interest in the outcome of the foreclosure action, such as judgment creditors, tenants, or secondary mortgage lien holders. An attorney can evaluate this type of defendant’s circumstances and help him determine whether it is in his best interest to file an answer. I am the tenant of a property that is being foreclosed upon, what do I have to do and what are my rights? What happens after I file my answer? Answers are reviewed to determine whether the answer is contesting or non-contesting. If the answer is determined to be contesting it is transferred to the General Equity judge in the county of venue (the county in which the foreclosed property is located). If the Defendant’s answer is deemed non-contesting, the foreclosure action will continue, with the Plaintiff’s attorney taking the steps necessary to seek a final foreclosure judgment. How long do I have after the Judge hears the contested case (answer)? How long it will take for a judge to hear a contested case cannot be determined definitely. After a contested answer is filed and transferred to the General Equity judge, the Plaintiff’s attorney will often file a motion for summary judgment or to strike the answer. The date that these matters are scheduled to be heard by the judge will depend on when the Plaintiff’s attorney files the motion and how much notice all parties must be given before the matter is heard by the judge. If the judge does not enter summary judgment in the Plaintiff’s favor or strike the defendant’s answer or if the Plaintiff’s attorney does not file a motion, the judge will schedule a pre-trial conference. How long that will take is dependant on the judge’s calendar. The defendant will receive notices alerting him of these matters which he should read and follow carefully. If a judge grants a motion for summary judgment or motion to strike the answer, deeming the case non-contesting, the case will be transferred back to the Office of Foreclosure and the Plaintiff may proceed to seek a final judgment of foreclosure against the defendant. 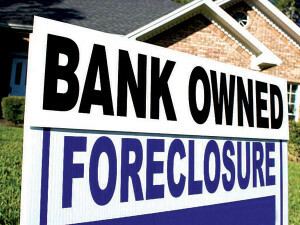 Why was a foreclosure case started but nothing else ever filed – not even a dismissal? We cannot speculate as to why no other pleadings were filed by the Plaintiff or why a Plaintiff has not dismissed the case. The defendant may contact the Plaintiff’s attorney to discuss their concerns regarding these matters. If a defendant feels he has special circumstances that might warrant the dismissal of the case, he should discuss this matter with an attorney who can help him evaluate his options. What types of motions are filed with the Office of Foreclosure and what types are filed with the county? There are several types of motions that may be filed in relation to a foreclosure proceeding. Some motions should only be filed with the Office of Foreclosure, while others should only be filed with the General Equity judge in the county of venue (the county in which the foreclosed property is located). Certain motions may be filed either with the Office of Foreclosure or with the county General Equity judge, depending, in part, on whether or not a foreclosure final judgment package has been filed with the Office of Foreclosure. The types of correspondence a I receive from the mortgage company are not the same pleadings found in my foreclosure file. The foreclosure file will contain only those documents which the court requires to be filed in a Foreclosure proceeding. Generally, the foreclosure file will not include correspondence the mortgage company has sent to the borrower about the defaulted loan, as the submittal of these documents are not required by the New Jersey Rules of Court. Can the Superior Court confirm that the information found in my foreclosure file proves that an illegal practice has been done by the mortgage company? The Superior Court cannot provide legal advice or legal analysis of any kind. If a defendant has a question regarding the legality of the mortgage company’s actions, he should consult a private attorney. An attorney would have the legal expertise necessary to identify whether or not illegal practices were conducted on the part of the mortgage company. Why have certain pleadings been filed in the foreclosure action and what bearing does the document have on the foreclosure case? Foreclosure Complaint. This document is filed by the lender (plaintiff), usually a bank or mortgage company, after the debtor-homeowner (defendant) defaults on his or her loan. The Foreclosure Complaint states the terms of the mortgage and the event of default and asks the court to allow the property to be sold to satisfy the debt. It is the first document filed by the lender which starts the legal Foreclosure process. Answer. This document is filed by the defendant and provides a response to all of the allegations in the Complaint. The Answer gives notice to the court that the defendant opposes the relief requested in the Complaint. Affidavit of Non-Military Service. This document is filed by the plaintiff and certifies as to whether or not the defendant(s) are in active military service. The purpose of this document is to protect the rights of those who may not be able to defend themselves in a foreclosure action because they are currently serving in the military. Affidavit of Service/ Return of Service. This document is completed by the process server (the person who served the summons and complaint on the defendant) and provides proof to the court that the defendant was, in fact, properly served. Affidavit of Inquiry. When a defendant is not personally served, this document must be submitted by the plaintiff’s attorney, explaining why the defendant(s) had to be served by alternate means. Request for Default. When a defendant fails to file an answer to the foreclosure complaint, the plaintiff will file this document with the court to notify it that the defendant(s) failed to answer. A Request for Default must be submitted for the court to formally note on its records that the defendant failed to defend against the claim. A plaintiff cannot seek a Final Judgment in Foreclosure unless the plaintiff first obtains an entry of default against the defendant(s). Notice of Motion for Default and Order for Default. These documents serve the same purpose as the Request for Default, but are filed in place of the Request for Default when more than 6 months has passed since the defendant failed to file an answer. If the motion is granted an Order for Default will be entered by the court. Notice of Mailing Default (Proof of Mailing). The plaintiff submits this document to notify the court that it has mailed a copy of the entered Request for Default or the Order for Default to the defendant, as required by the Court Rules. Certification of Mailing Notice to Cure. This document is filed by the plaintiff in cases where the Fair Foreclosure Act applies. This document notifies the court that the plaintiff has mailed the appropriate notice to the defendant and provides the court with a copy of the mailed notice. Mediation Certification. This document is submitted by the plaintiff to notify the court whether or not the plaintiff mailed a mediation packet to the defendant. Notice of Motion for Final Judgment and Proof of Amount Due. This document is submitted to request that a Final Judgment of Foreclosure be entered by the court. It includes a breakdown of the amount owed by the defendant. If the defendant has a valid objection to the amount due as stated in the Affidavit attached to the Notice of Motion for Final Judgment, he must submit it to the court within 10 days of receiving the Motion. Final Judgment. The Final Judgment of Foreclosure is an order from the court which includes the following: 1) amount due to the plaintiff, 2) orders payment to the plaintiff, 3) provides for the judicial sale of the mortgaged property, 4) bars the defendant’s right to redeem the mortgage after default, and 5) if requested, awards possession of the mortgaged property to the plaintiff/purchaser. Writ of Execution. This document is submitted with the Final Judgment document and is used to enforce the Final Judgment. The Writ of Execution authorizes the sheriff to sell the property in satisfaction of the Final Judgment of Foreclosure. If a pleading is returned for corrections, and copies of the pleading have already been sent to the other parties involved, do the corrected pleadings need to be re-served on the other parties? The Return Notice completed by the Office of Foreclosure staff will usually specify whether or not a copy of the corrected document must be re-served on the other parties. When a pleading is returned by the Superior Court staff, the Return Notice will not specify whether the document needs to be re-served, however, the Superior Court generally requires that documents returned for corrections be re-served. Will my case automatically be dismissed if I catch up on my arrears before the answer is due? No. Catching up on arrears will not cause the foreclosure proceeding to be automatically dismissed. The Plaintiff’s attorney must seek to have the case dismissed if the defendant has worked out a deal with the lender and caught up on any arrearages. Can a bankruptcy stop a foreclosure? In most cases, filing for bankruptcy will trigger the automatic stay provisions of the Bankruptcy Code. The automatic stay prevents a party from starting or continuing a foreclosure proceeding; this means that all activity on the foreclosure case must stop. Filing for bankruptcy will not cause the foreclosure proceeding to be automatically dismissed. Once the bankruptcy case is resolved (closed, dismissed, or discharge granted or denied) or the bankruptcy stay is vacated, the foreclosure proceeding will pick up where it left off before the automatic stay took effect. The defendant should consult an attorney who can evaluate the defendant’s circumstances and help him determine whether it is in his best interest to file for bankruptcy. How much time do I have to file a bankruptcy during a foreclosure process? The defendant should consult an attorney who can evaluate the defendant’s circumstances and help him determine whether it is in his best interest to file for bankruptcy and when such filing should be made. What happens after the request for default is filed? Once a request for default is filed, it is reviewed by the Superior Court staff to determine whether the request complies with the Court’s requirements. If the request for default meets the Court’s requirements, default is entered against the parties requested. A copy of the filed default is sent to the Plaintiff’s attorney, who is then responsible for mailing a copy of the default to the defendants, notifying them that default has been entered against them. An entry of default against a defendant simply means that the Court notes on its records that the defendant failed to defend against the claim by filing an answer with the Court. An entry of default is not a final foreclosure judgment, nor does it give the Plaintiff the right to take and sell the defendant’s home. After entry of default is made, the Plaintiff’s attorney is then allowed to seek a final judgment of foreclosure against the defendants. Can I stop a Final Judgment procedure? The Plaintiff is the only party who may voluntarily stop a final judgment procedure. There are a limited number of circumstances under which a Final Judgment procedure may be stopped. If a defendant works out an agreement with the lender, the Plaintiff (lender) may dismiss the foreclosure proceeding. If a defendant is eligible for foreclosure mediation and a mediation settlement is reached, the settlement may include a provision that the Plaintiff will dismiss the foreclosure proceeding. If a defendant feels he has special circumstances that might warrant the dismissal of the final judgment procedure, he should discuss this matter with an attorney who can help him evaluate his options. After a Final Judgment has been filed, how much time do I have to file a motion objecting to the final judgment and is that the only way a foreclosure can be stopped? According to the language provided in the Notice of Motion for Final Judgment, a defendant has 10 days to file an objection to the Affidavit of Amount Due attached to the Notice of Motion for Final Judgment. The Notice of Motion for Final Judgment provides direction on where to send the objection. If an objection is received, it will be reviewed by the Office of Foreclosure to determine whether a valid objection to the amount due, which is attached to the Notice of Motion for Final Judgment, has been raised. Filing an objection does not stop the foreclosure. If an objection to the amount due is valid, the case will be transferred to the vicinage judge, who will make a final determination on the matter. After the vicinage judge makes a decision on the objection, the case will be transferred back to the Office of Foreclosure to process the Final Judgment request. Once a Final Judgment has been entered, the only way a defendant can object to it is by motion to the General Equity judge. A defendant should discuss with an attorney whether the defendant has valid circumstances which may warrant the reversal of a final judgment. A bankruptcy filing can stop a foreclosure case, though the bank can petition the bankruptcy court for permission to continue with the foreclosure. You should consult with an experienced bankruptcy lawyer about whether bankruptcy is an appropriate option to help you save your home. Can a Final Judgment be reversed after it is filed? A final judgment can be vacated voluntarily by the Plaintiff. Sometimes this occurs if a settlement has been reached between the lender and the mortgagor either privately or through the foreclosure mediation process. Otherwise a final judgment can only be reversed on motion to the General Equity judge. A defendant should discuss with an attorney whether the defendant has valid circumstances which may warrant the reversal of a final judgment. How long can I stay in my house after a final judgment is filed? Unless the defendant has entered into an agreement with the lender stating otherwise, the defendant usually does not have to vacate the property until some time after the Sheriff’s sale. The Sheriff must advertise the sale of the property for a minimum of four weeks before holding the sale. Once the Sheriff’s sale is completed, the Plaintiff must seek a Writ of Possession from the court, which instructs the Sheriff to remove any occupants from the property. The defendant will be notified by the Sheriff of the date on which they must leave the property. In some instances it can take the sheriff up to 2-3 months to complete an eviction. Can’t find the answer you’re looking for? Contact our experienced New Jersey foreclosure lawyers today to discuss your case. For emergencies call us at 201-498-0400. Providing foreclosure defense to residents of Bergen County, Essex County, Hudson County, Middlesex County, Mercer County, Monmouth County, Morris County, Passaic County, Somerset County, Union County, and elsewhere in the Garden State.